Alternatively, you can share a session with a user who does not have an account to your BeyondTrust Appliance. To invite an external user to join a session one time only, tap the Member Actions button. On iPhone, access this button by tapping the Actions option first. 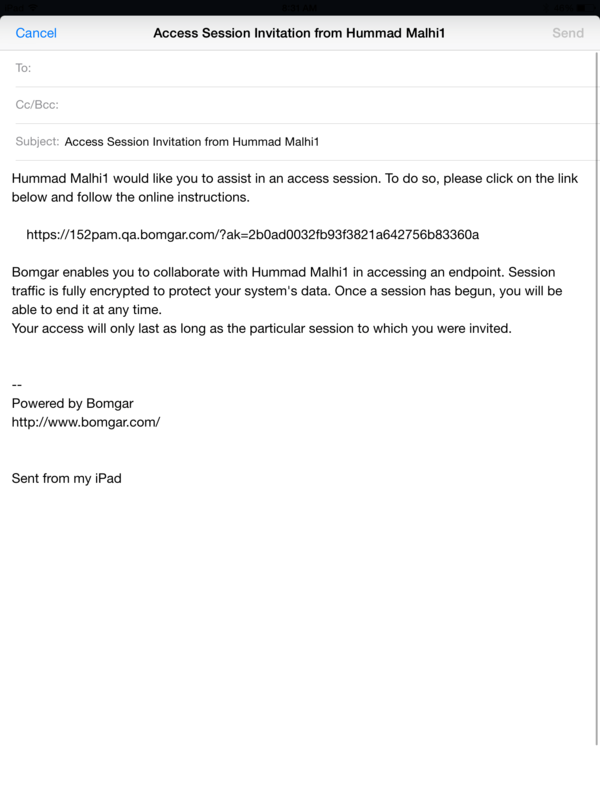 A menu will open, allowing you to customize the invitation and create an access session key. 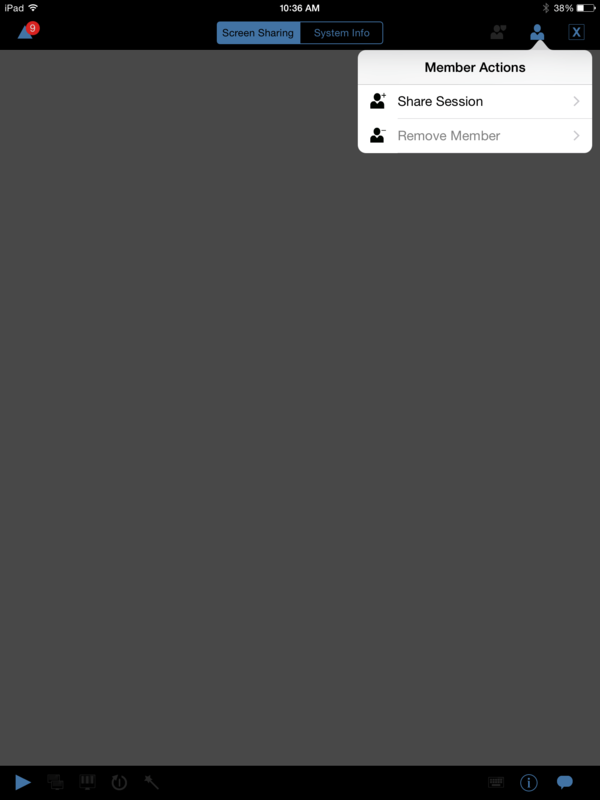 Tap Security Profile to access a list of available user profiles. These profiles are created in the administrative interface and determine the level of permission the external user will have. When you select a profile, the list will close. 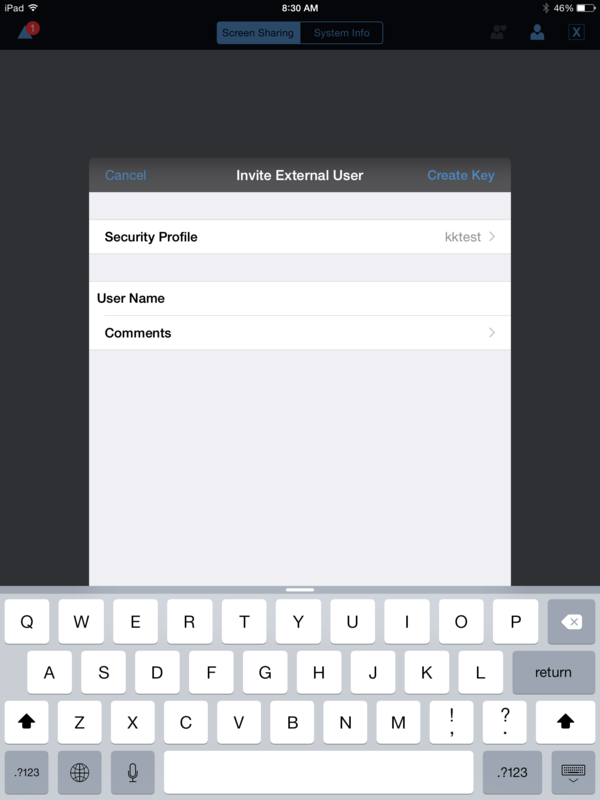 Next, tap on the Create Key option located in the top right corner of the screen. Once tapped, the Session Key Generated section will populate. Tap the Email option located in the top right corner of the screen. An email is generated. Make any necessary changes to the email. You also have the ability to copy the URL from the Session Key Generated section. Simply click the Copy option found beside the URL. Once the external user has received the email, they must tap the URL found in the email. They are then taken to the Access Portal, where they are prompted to download the access console. After the console has been downloaded, the login page to the access console appears with the access session key already populated. They must simply tap Login to access the console.